The Ladies was founded by LaVerne Lindsey in 2007. Empowering ladies of all riding abilities to ride bicycles. The Ladies Group features NO DROP rides. There is no minimum speed, there is no "cool points" required, you just need to be a lady with a will and/or desire to do so. We have road, gravel, and mountain bike rides. The Ladies meet all over the Valley for rides and will host riding clinics if there is enough interest. 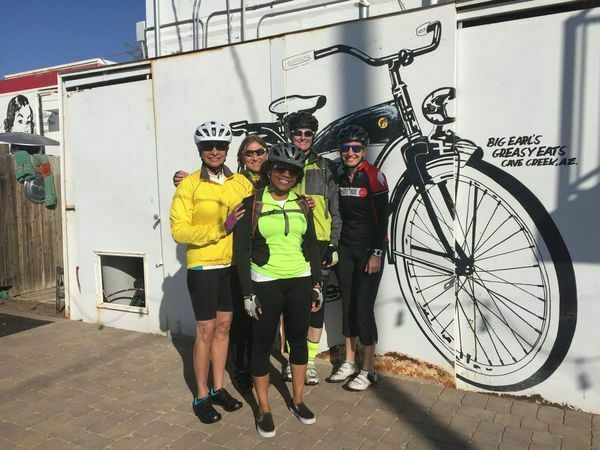 In December 2017, The Ladies is now an active chapter of the Arizona Bicycle Club (ABC). 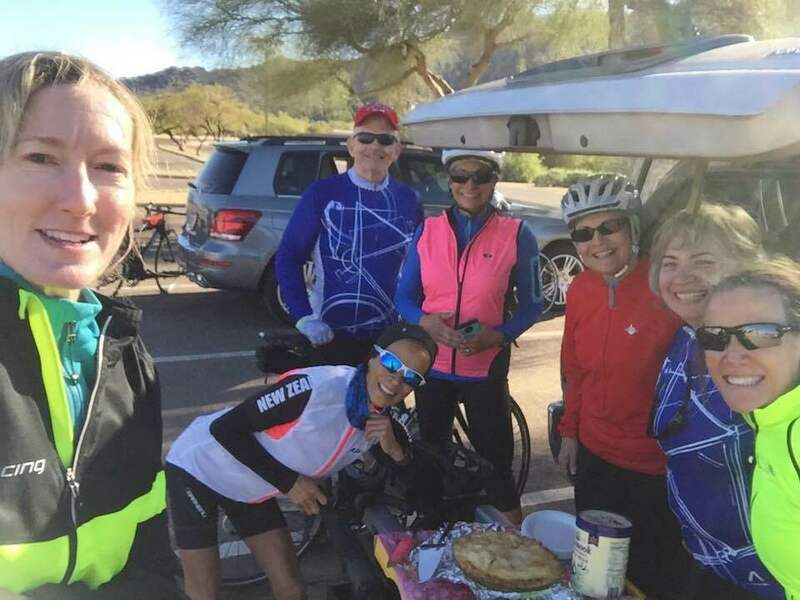 The group no longer requests donation for SAG, however, we ask that you consider becoming an ABC member, and support a organization which has been working to keep bicycling fun in Arizona since 1964. Joining ABC online is easy and secure. Basic membership is only $25 per year. That fee helps support rides, covers you by our insurance when you ride chapter rides, and provides discounts to special event rides by the club. · The Ladies will host weekend rides from October through May. The number of rides or type may vary depending on availability of ride leaders. · There will be summer rides, however, due to the heat, they will be at night or super early in the morning and are for more advanced riders since they are not SAG supported. · Once you have signed up for an event, you are responsible to update your RSVP to "No" in the event something has come up or plans have changed. This is a courtesy to the ride leader and other members. If the event has already started or you are unable to notify immediately, please reach out to the ride leader. Failure to do so will result in a "No Show.” 3 No Shows within 1 year (starting 10/1/18) will result in removal from the group. · No Drop-ins, if you are planning to attend an event, you must sign up. Ride leaders need to know who to expect. · The Ladies Rides are a “No Judgement Zone.” We are here to encourage women to ride and to give them a safe and encouraging space to learn, challenge themselves, and grow. * We do allow well-behaved males (ride descriptions will indicate if okay) and our dedicated SAG rider is a guy.